WITH its iconic cheerful colors and fun prints, every pair of Havaianas flip-flop is sure to transport a person into a happy state. So when Tropical Retail Company, Inc.- All Flip-Flops, retailer of the well-loved quality footwear, Havaianas, in the Philippine donated 5,000 flip-flops to Operation Blessing Foundation Philippines, Inc. for the victims of super typhoon Yolanda, everybody was naturally ecstatic. The Havaianas flip-flops, ranging from baby to adult sizes, was delivered by Chinnie Alpay, Executive Assistant and Administrative Coordinator and Candice See, Recruitment officer, at the Operation Blessing headquarters in Pasig City. The donation was received by Peter Kairuz, President and Chief Executive Officer of CBN Asia and Operation Blessing and Dr. Kim Pascual, Executive Vice President and Chief Operating Officer of Operation Blessing. “We are extremely grateful for this huge donation of Havaianas. This is a company with a really big heart. We assure you that these beautiful Havaianas flip-flops would bring smiles to the faces of the Yolanda survivors,” Peter said. Chinnie said that it was only a couple of days ago when their Managing Director Geronimo Begre, informed them of the company’s intent to help the Yolanda victims through Operation Blessing and everyone in the company immediately went into action, completing the 5,000 flip-flops for donation in a matter of 3 days. “We are blessed that we could be of help. Mr. Begre is so happy that all the employees worked together to make this happen. Nagkapit-bisig po talaga kami para dito. ,” Chinnie said. She, likewise, informed the Operation Blessing team that this is the first major humanitarian donation of their company but they will explore more ways to partner with Operation Blessing Philippines in order to help more people. Operation Blessing will distribute the 5,000 pairs of Havaianas flip-flops to Yolanda victims in Bantayan Island, Cebu coinciding with the screening of the Superbook animated series, trauma counseling, program intervention and healing art, as part of the rehabilitation process immediately following the relief efforts. 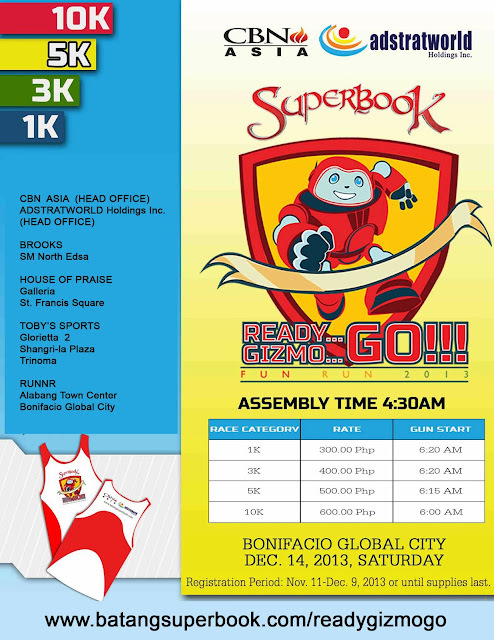 RUN and help our kababayans in need with the first-ever Superbook benefit fun run dubbed “READY… GIZMO…GO!” happening on December 14, 2013 at the Bonifacio Global City. Warm up starts at 4:30 am and the official gun start for the 10K run is at 6:00 am. Join Gizmo, the Superbook agents and other Superbook lovers as they make “every kilometer count” and contribute in raising funds for the disaster relief operations of Operation Blessing, the humanitarian arm of CBN Asia. Various OB Teams have now set up a base camp in the most hard-hit areas of Super Typhoon Yolanda distributing relief goods, doing medical missions and trauma counselling. This event will also benefit the CBN Asia Prayer Center, the Asian Center for Missions and the CBN Asia Media (The 700 Club Asia, Superbook and Tanikala). 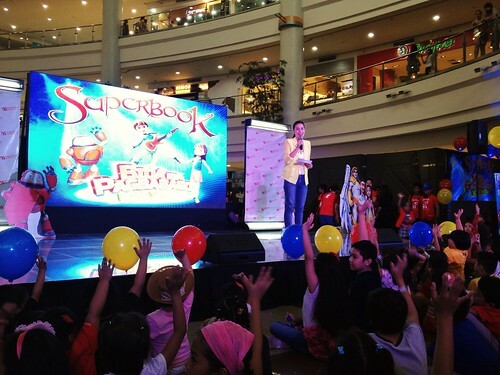 Superbook takes the lead in the fun run with its phenomenal success in its first season drawing close to 20 million viewers. And in this time when everyone is joining hands to help our kababayans in the Visayas, Superbook, through its “Bida ng Pagbabago Advocacy,” invites everyone, especially the kids to participate in this first ever “Ready… Gizmo… Go!” Fun Run and help raise funds for the CBN Asia Family of Ministries. 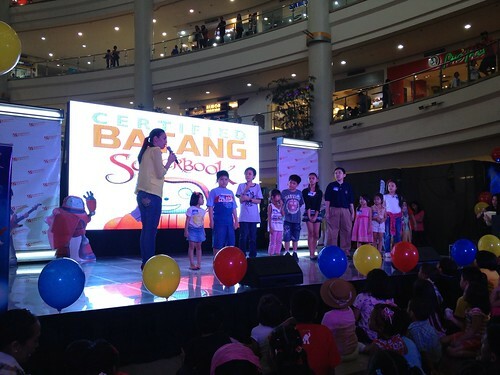 Superbook’s “Bida ng Pagbabago Advocacy” believes in empowering the children of today. 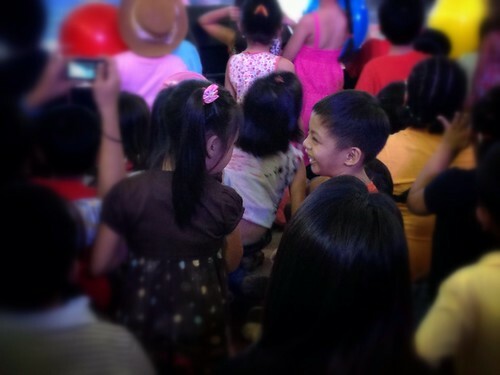 As young as they are, they can already be of influence and become examples to their friends, families and community. 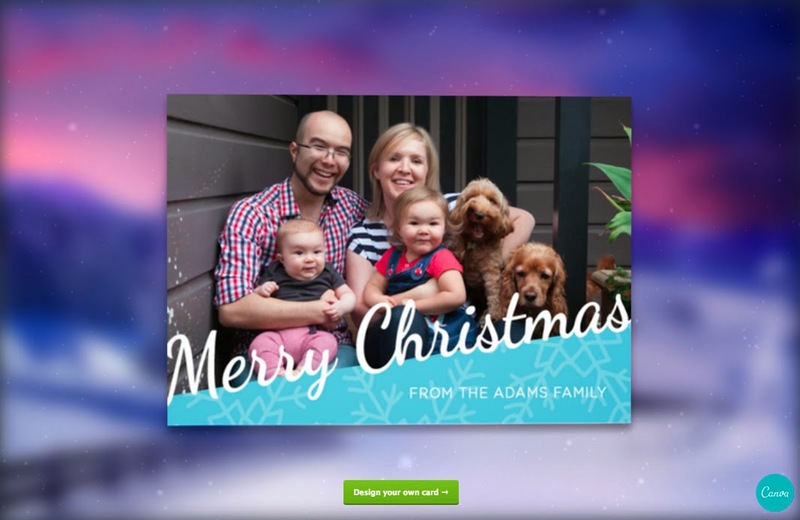 “The effect of Superbook on the family has been amazing. 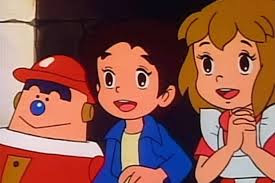 Through Superbook and the adventures of Gizmo, Chris and Joy, more and more children have developed the joy of Bible-reading and have become heroes of change by showing positive difference at home, in school and their community. 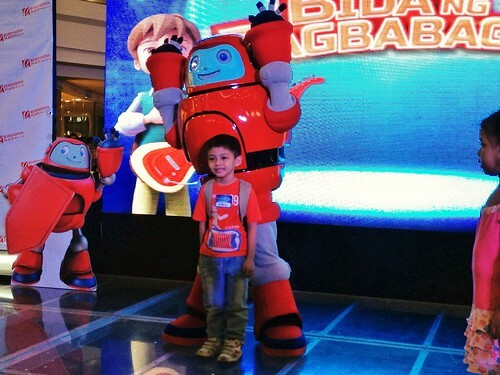 Superbook also empowers parents to introduce positive values to their children in a fun way and it has become a catalyst for families to become closer and to grow in love and faith,” says Icko Gonzalez, Superbook Project Head in the Philippines. Participants may choose to join either of the following categories: 1K, 3K, 5K or 10K. Registration fees are P300 for the 1K; P400 for the 3K; P500 for the 5K and P600 for the 10K, inclusive of singlet, race bib, exclusive Ready…Gizmo…Go! ballers, and finisher’s shirt for 10K. Registration is now open until December 9 or until supplies last. Do not miss this chance to be a part of the first Superbook Fun Run and make a difference in the lives of thousands this Christmas! Get a chance to win a trip to Hongkong with your family! HOW? 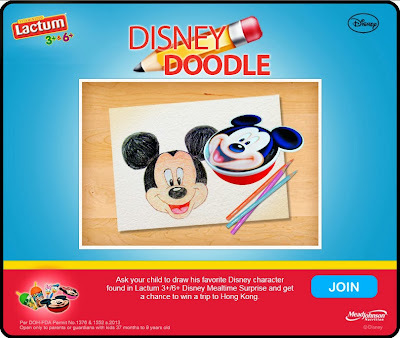 Join Lactum 3+/6+ Disney Doodle! Just ask your child to draw his/her favorite Disney character found in Lactum 3+/6+ Disney Mealtime Surprise. Take a photo of your child’s artwork together with Lactum 3+/6+ Disney Mealtime Surprise and upload the photo as your child’s official entry! The promo is open to all parents or guardians with kids aged 37 months to 9 years old as of contest date. Submission of entries will be until October 15, 2013. Voting period is from October 16 to 31, 2013. It's been raining cats and dogs (or elephants and dinosaurs, as one friend would say) for the past 3 days . Here we are again, Manila, in the middle of a crazy monsoon accompanied by a mad storm called Maring. Flood is everywhere. And if we know a disease that is synonymous to flood water exposure, it would be leptospirosis. I found this helpful infographic on leptospirosis that can help you recognize the signs and symptoms of the disease early. If you identify these signs and symptoms, do consult a doctor immediately to prevent severe complications. I had seen patients with leptospirosis and the complications can be pretty scary. I hope this little heath advisory helps. Stay safe, everyone. Calling all expectant moms and moms, the Belly Blessed Fest 2013 is here! Celebrate the many joys of pregnancy with Belly Blessed Fest 2013! 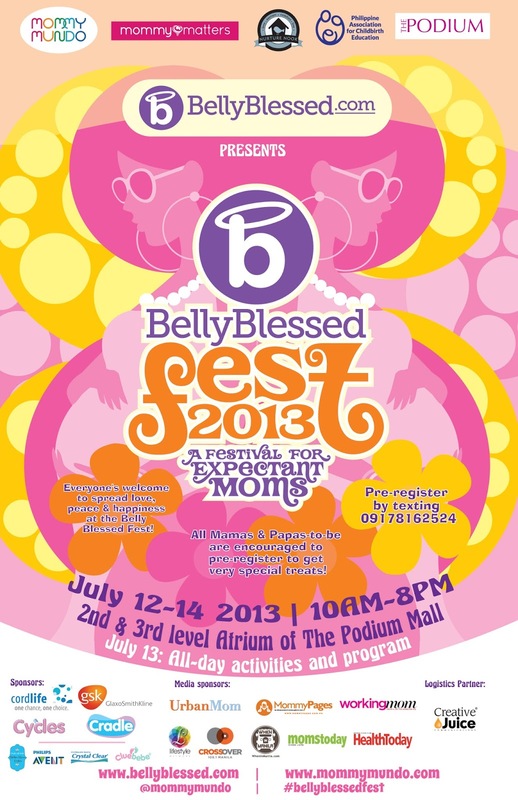 A three-day event dedicated to expectant moms, Belly Blessed Fest will be held from July 12 to 14, 2013 at the 2nd and 3rd Level Atrium of The Podium Mall in Pasig City. There’ll be exciting interactive stations to delight expectant moms and dads-to-be like the Pregnancy Portrait Booth sponsored by Little One’s Portraits, Clay Medallion Making Station, and a wishing wall where moms can write special messages to the miracle growing inside their wombs. Alongside the activity stations will be booths showcasing the latest mom and baby products and services in the market today at the 3rd level. Moms-to-be can also browse and shop for essentials at the mompreneur booths. There will also be products for toddlers and children, Crumbs and Grubs Lactation goodies and snacks for expectant and nursing moms. 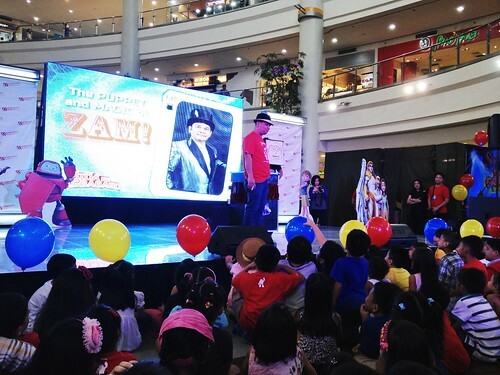 As part of the Mommy Mundo events' tradition, there will be raffle draws throughout the day. On July 13, Saturday, there will be an all-day program of informative talks and refreshing entertainment. Music and entertainment Gentle Universe and a belly dancing session with the Goddesses of Belly Dance by Jill Ngo will get moms-to-be gently grooving while various and informative talks like that of Rome Kanapi, Childbirth Education teacher to reveal some Labor and relaxation techniques while importance of Safe Sleep will be discussed by Halo Philippines. Protect your baby for life! Listen to Dra. Aurora Tajan of CordLife Philippines, and Teacher Jeannie Castillo of Kindermusik Mama, will help get them more ready for the big Delivery day. A Keepsake Journal Making by Namaste and Craft MNL might just encourage many of them to make one-of-a-kind keepsakes of their pregnancy. The event is open to everybody, but expectant moms are encouraged to pre-register to get Belly Blessed Fest goodies; interested attendees may simply text their name and the number of weeks that she are pregnant to 0917-8162524 limited slots available! 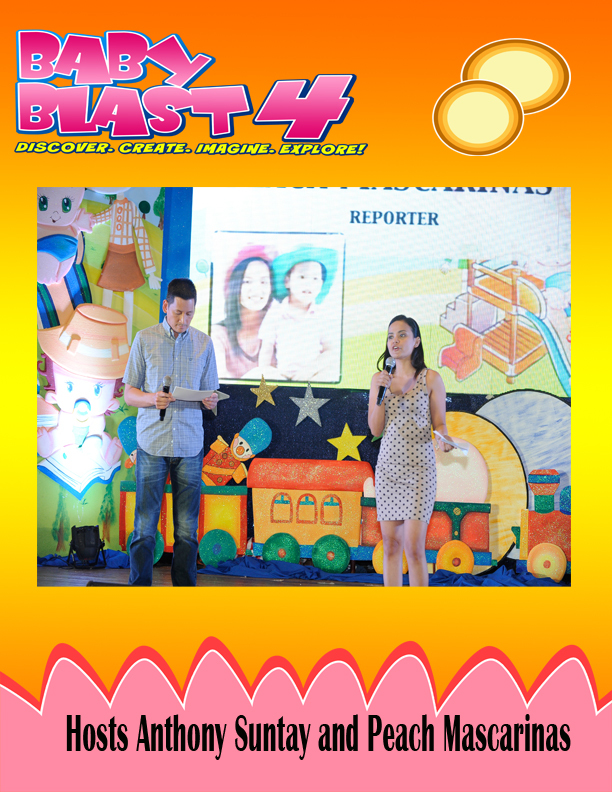 Belly Blessed Fest is presented by Mommy Mundo, the Manila’s go-to resource portal for active, modern moms; PACE, Mommy Matters, Nurture Nook, and venue partner, The Podium Mall. It is supported by Cordlife Cord Blood Banking, GlaxoSmithKline, Cycles Mild Detergent, Cradle, Philips Avent, Crystal Clear, Cluebebe, Little One’s Portraits and Crumbs and Grubs Lactation Goodies. Media partners are Urban Mom, Mommy Pages, Working Mom, Lifestyle Network, Crossover 105.1, and When in Manila. Logistics partner is Creative Juice Communications (www.creativejuiceph.com). For more information, like Belly Blessed on Facebook or visit www.bellyblessed.com or www.mommymundo.com. Hey! Yep, I'm still alive. Junior internship has been eating most of my time. I just finished my ENT rotation a week ago. It was my first rotation that had an ER post. And, let me tell you this, ENT is where they will point you when you've swallowed a foreign body accidentally (or on purpose). Of all the cases that I've encountered in the ER, more than a dozen were foreign body ingestions. And all of those patients were kids. Apparently, kids, 1-3 year olds, like to swallow 1-peso coins before bedtime since they always show up at the ER at 10pm-12am. Studies have shown that coins are the most common culprit in foreign body ingestion in kids. Now where does the coin go? There are 2 possible areas - the airways or the esophagus. You'll know it's lodge in the airways because your child will be gasping for air. If it's in the esophagus then the child may present with drooling, gagging, vomiting and food refusal. Sometimes, it may even show you no symptoms. Scary, right? 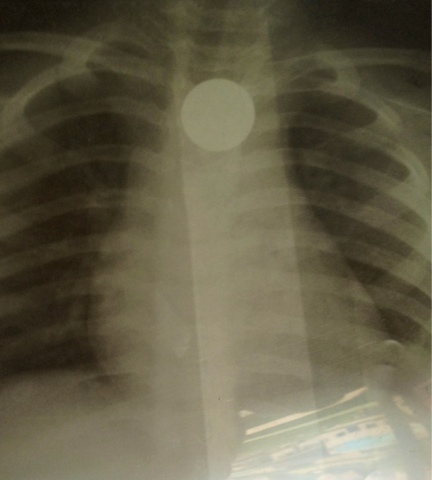 An x-ray is a must to localize the coin. Can you guess where the coin is? If a coin gets stuck in the esophagus, it can cause esophageal erosions or tissue injury. Although it can pass to the stomach and eventually to the intestines, it's still best to be sure. If the coin gets stuck in the esophagus then endoscopy must be done which will require your child to be under general anesthesia. Be it in the airway or the esophagus, foreign body ingestion is a medical emergency. If you suspect foreign body ingestion, bring your kid to the nearest ER. I'm telling you this because ER doctors want to rest at night too. But kidding aside, wouldn't it be such a bummer to have a trip to the ER just because of a measly one-peso coin? Aside from the stress that it will bring you and your child, that one-peso coin can also cost you thousands of pesos. Vacation time is approaching quickly. For moms that often means added stress to an already hectic schedule. But do not worry, you can travel with kids and reduce the hassle. There are many things that can be done, so use these tips to help guide your next vacation. Where would a mom be without her lists? I personally use lists for just about everything – and that certainly doesn’t stop with planning vacations. There are a variety of things we often overlook when planning a vacation like stopping the mail or mowing the lawn. Making a list well in advance will help you avoid doling out money on vacation for things you already have. 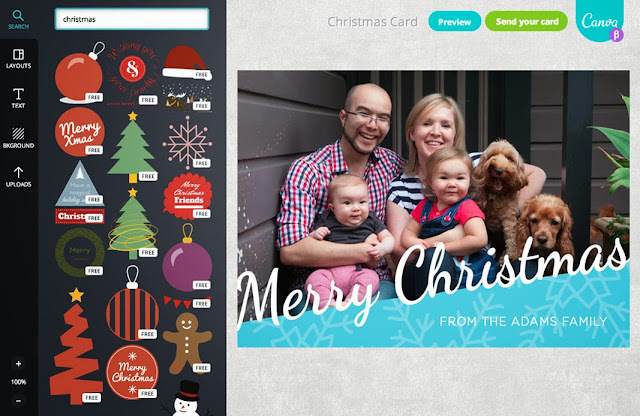 Give your list some attention and you’ll be more likely to be fully prepared. Instead of grabbing a piece of scrap paper, buy a planner or customized notebook to keep in your purse. That way you’re less apt to lose it and more likely to enjoy adding to it. 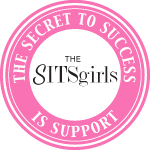 The most important thing that you need to do is figure out “the how”. If flying, you should take the time to print out all of your boarding passes 24 hours in advance. This is a great way to avoid wasting time in the check-in line. You should also check with the hotel that you will be staying at to see if they have available shuttle service from the airport. If you do decide to take a cab, try to order it before and contact the hotel to establish the going rate. Most great hotels will give you all of the information you need to get this done easily. It saves a lot of hassle and keeps children moving to avoid unnecessary waiting. Deciding where to stay during your vacation is key. While your accommodations may seem like merely a bed at first glance, they actually play a much larger role. Having a fridge in your room allows you to bring healthy snacks like yogurt and fruit and prevents you from raiding the vending machine at 11pm. For my kids, a microwave is excellent for heating up chicken nuggets in between meals. A pool or playground can provide hours of safe entertainment for your little ones while allowing you to relax. There are even 5 star hotels and resorts that offer specialized kids programs while still providing top notch dining and spa facilities. Upon traveling to the Hawaiian Islands, my family stayed at a stunning top Honolulu hotel that provided a little something for every member of our family. No matter your requirements, make sure you’re looking into your options before booking. The right amenities at the right price make all the difference. You may also want to think about bringing the technology with you. The mobile games, audio books and other forms of media can keep everyone entertained during a long car ride, train ride or flight. Of course you don’t want your children attached to their game boys or iPads while you’re touring the Grand Canyon, but allowing them during travel time will save you all a lot of headaches. To limit the junk and keep them learning during summer break, look into fun, educational apps that you both will approve of. Stay on schedule the best that you can. You may have many things that you want to enjoy with your family, but if your child is accustomed to having a nap at a certain time, you really should try to get the nap in. The child is more likely to become cranky and irritable without it, resulting in a meltdown no one will enjoy. If many of your reservations fall during traditional naptime, try adjusting their sleep schedule in the weeks leading up to the trip. Just moving naptime 15 minutes earlier or later in the weeks before your trip will help your small one adjust. Kendra Thorton is a 37-year old mother of 3. Before being promoted to the full time position of mom, she was the former Orbitz Director of Communications where she was able to travel around the world. Kendra has been to 28 countries on 6 continents, and have been quoted in the news about seasonal travel trends and destinations all over the United States. Follower her on Twitter (@KendraThorton). A Day For Discovery and Exploration at Baby Blast Year 4!